Fred Winstead, VP of Human Capital Solutions, Allegis Group Services and Jeff Nelson, Creative Director Employee Branding, Allegis Group Services discuss building a stronger brand and the contingent workforce. Paul Pinto, Managing Partner, Sylvan Advisory and Donald Mones, Managing Director, GlobeSource Partners discuss the vendor selection process, top five reasons why standard vendor selection process fails to produce the desired results, preferred approach to selecting a vendor, and the real benefits. Ensuring your governance is fit for purpose. IT transformation is broader than a vision or a strategy or a specific initiative. It is a fundamental shift from being a reactive IT culture to one that is intentionally driving business growth and becoming an IT-as-a-Service organization. Frank Casale, CEO, Outsourcing Institute and R.G. 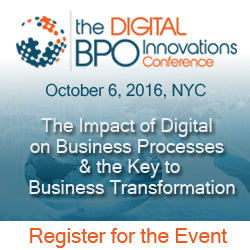 Conlee, SVP & Chief Innovation Officer, Xerox discuss Automation for BPO. Selecting the right sourcing provider for long-term success. Frank Casale, CEO, Outsourcing Institute discusses with colleagues why there is a common disconnect between outsourcing buyers and providers. Vendor selection considerations with Frank Casale, OI and Ram Ariyur, SLK Global.